The 2017 Toyota 4Runner is ready to take you on your own personal adventure. Choose between two-wheel drive, part-time 4-wheel drive, or full-time 4-wheel drive. Whether your adventure takes you to the biggest mall in town or to the biggest mountain out of town, the Toyota 4Runner is the vehicle to get the job done – and with plenty of class. Look at just a few of the available features that you’ll find on one or more of the six trim levels of the 4Runner. Stay in the know and connected to information, family, and friends with Toyota’s Entune, Premium JBL, and its suite of technological features. You’ll find such features as hands-free phone, phone book, and streaming music using Bluetooth; Siri Eyes Free; Predictive Traffic with Dopple weather overlay; SiriusXM Satellite Radio, and more. You’ll ride in comfort on an 8-way power adjustable driver’s seat and a 4-way adjustable front passenger seat, with available heated and ventilated features. Upholstery is either fabric-trimmed, perforated leather-trimmed, or leather. There is an available third-row seat available. The second-row seat is a 40/20/40 split folding and reclining seat. The Optitron instrument cluster houses the speedometer, trip meters, odometer, tachometer, fuel and temperature gauges, and warning messages. The Smart Key System offers push-button start and remote lighted entry. The power liftgate window has a jam protection. A backup camera assists in backing up safely, and the overhead console holds your sunglasses when you’re not wearing them. A center console storage bin has tissue, pen, and coin holders. There are 10 cup and bottle holders. Make that 12 on the three-row models. The two-row models have an under-floor storage area under the rear cargo deck. An assortment of airbags – side, knee, and side curtain – will help keep you safe in case of accident. The Toyota 4Runner is powered by a 270 horsepower 4-liter engine that is coupled with a 5-speed automatic transmission, with electronically controlled intelligence (ECT-i) and a sequential shift mode. The 2019 Toyota 4Runner is available in seven separate trim levels: SR5, SR5 Premium, TRD Off-Road, TRD Off-Road Premium, TRD Pro, Limited, and Limited Nightshade. The base SR5 offers HD Radio, skid plates, a leather-wrapped steering wheel, fog lights, satellite radio, heated mirrors, a power rear window, an eight-speaker sound system, power front seats, a 6.1-inch touchscreen, roof rails, 17-inch wheels, a CD player, a USB port, a 120-volt power outlet, and more. The TRD Off-Road provides multi-terrain off-road settings and a crawl control function. The Premium comes with navigation, an auto-dimming rearview mirror, heated front seats, and simulated leather upholstery. The TRD Pro receives automatic headlights, revised front springs, LED fog lights, a roof rack, Fox dampers, all-terrain tires, and a 15-speaker JBL sound system. The Limited gains heated and ventilated front seats, 20-inch wheels, leather upholstery, parking sensors, a locking center differential, dual-zone climate control, and more. The Limited Nightshade Edition gets you black exterior trim. Drivers can also enjoy other features such as Bluetooth®* technology, a sunroof, and more. Born in 1984, the Toyota 4Runner wasn’t much more than a Toyota pickup with the back end enclosed. Since then, it has grown up to be a nice cross between a mid-size and a compact SUV. The first generation of 4Runners ran from 1984–1989. In Japan, the 4Runner was first known as a Hillux Surf, but the vehicle was marketed in American markets as the 4Runner. The first generation 4Runners were two-door vehicles that were identical to the pickups from the dashboard forward. They were powered by a 2.4-liter engine and four-wheel drive was available on each one. The 1985 model came out with a 2.4-liter electronically fuel-injected engine, which increased the horsepower from 100 to 116. The regular engine with a carburetor remained available until 1988. The second generation lasted until 1995, and most were 4-door models. The body construction was now a single unit, and a 3-liter V6 engine became available. The third generation ran through 2002 and underwent a total body redesign. A 2.7-liter and 3.4-liter engine was introduced, upping the power. The interior was spruced up and enlarged. The fourth and fifth (current) generations have continually upgraded the 4Runner, making it into the quality vehicle it is today. 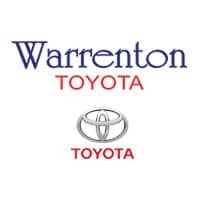 Visit Warrenton Toyota in Warrenton, Virginia, to see all that the 4Runner has to offer you. The professional sales team will assist you in choosing the model that is right for you. Come in for a test drive today!